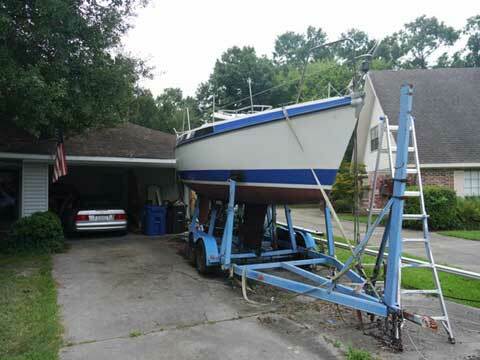 Bavaria 770, 25', 1984 Sailboat with Custom built trailer. 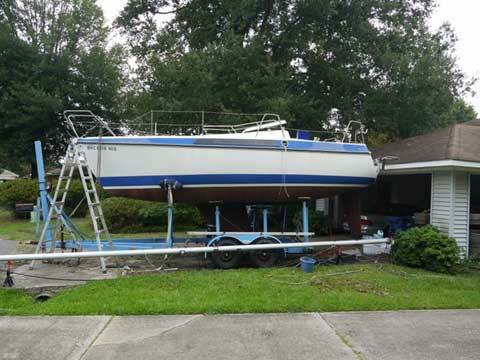 This is a very well built 25 ft sailboat. She is a project, but someone with a few woodworking skills and more time than I have can have her in tip top shape with not a whole lot of effort. The Hull and deck are in excellent condition, new bottom paint 18 months ago. 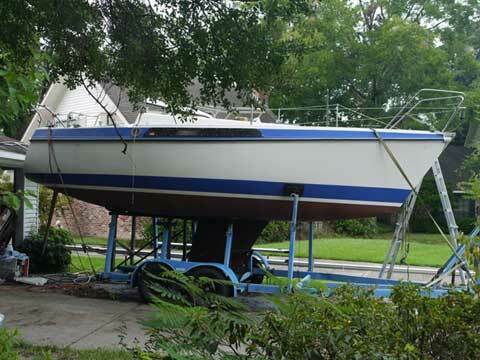 A young 1984 boat, as she was not commissioned until 1991, then used only during summers on fresh water lake. Registered in Louisiana. Hull is 100% Hand laid fiberglass, deck is closed cell sandwich, not balsa core. Set up for Easy single handing. Enclosed Manual marine head(not installed) and portable pottie. Stainless sink, 2 burner alcohol stove, and 10G cooler/icebox. All cushions from cabin in very good condition. 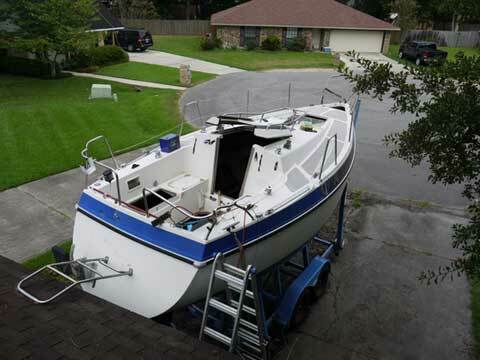 She can sleep 5, all berths at least 6' 4", vBerth has sliding door for privacy. Custom Steel dual axle, dual electric brake trailer. Will ensure the trailer is road worthy..
Hinged Cockpit seats: need new wooden seats, had plywood that had rotted away. Inside woodworking: Most is mahogany and is fine, just needs sanding and Varnished. Floor need attention, maybe all replaced depending on how you want it to look. 12V electrics: all worked last summer, needs new Nav lights and batteries. (none included) Handrail on starboard aft is bent up. Needs all new Running Rigging. Standing rigging looks fine. Sails in good condition, Main, Jib, and 135 Genoa.